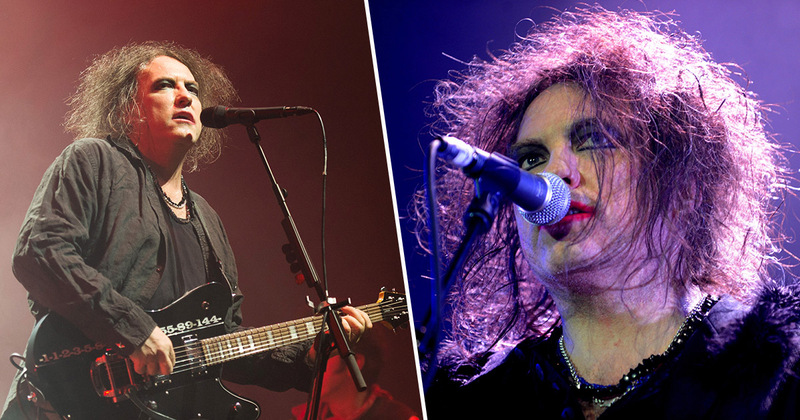 Just ahead of their headline slot at Glastonbury this summer, The Cure have said they’ve finished their first new album in more than 10 years. The as-yet-untitled record, which is the followup to 2008’s 4:13_Dream, will be the British band’s 14th studio album. Frontman Robert Smith confirmed the group had finished recording the highly-anticipated album when he appeared on CapeTalk’s The John Maytham Show, ahead of the band headlining Rock on the Lawns festival in Cape Town. ‘We’ve enjoyed [the live shows], and we’ve just recorded a new album for the first time in 10 years,’ Smith said, adding that he was ‘still doing this for the right reasons’. We cover different styles of music, but because it’s us doing it, it sounds like us. The band previously revealed they were working on new music at the end of last year, saying their induction into the Rock and Roll Hall of Fame was what inspired them to get back in the studio. The new record does not have a release date just yet, so it’s not known whether it will drop before they headline the Sunday evening at this year’s Glastonbury festival. Either way, it’s sure to be a momentous occasion – and an exciting year in general – for the legendary band.